Anakin and Count Dooku. Anakin heading down the dark path.. HD Wallpaper and background images in the bintang Wars: Revenge of the Sith club tagged: Revenge of the sith. This bintang Wars: Revenge of the Sith photo might contain konser, tanda, poster, teks, and papan tulis. 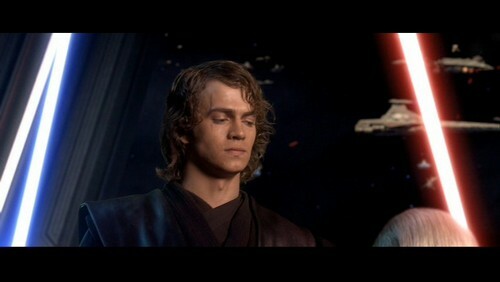 This part was a bit unnerving as Anakin was about to kill somebody in cold blood. The look on his face is almost evil! He passes another of the Emperor's Sith apprentice tests here. Well played, Hayden.